$299. 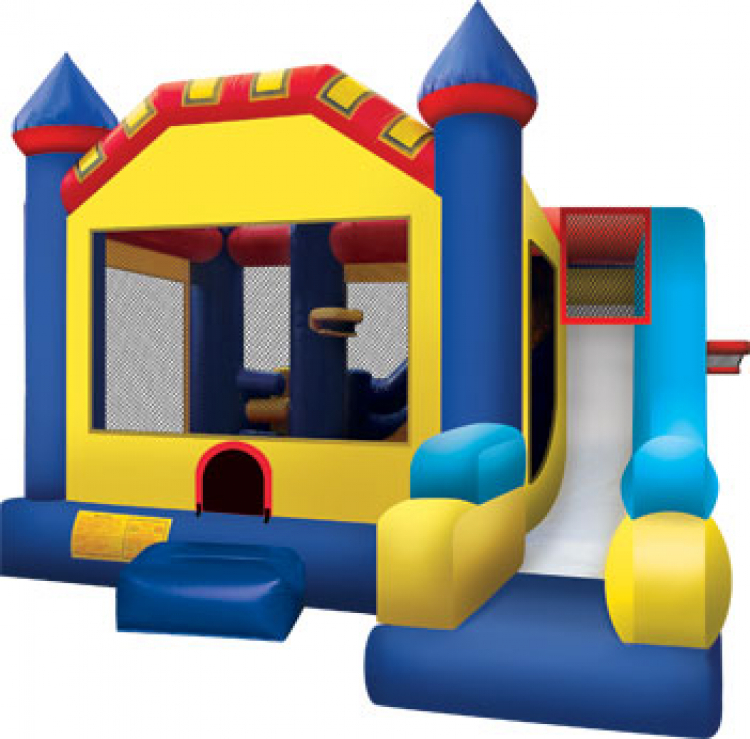 This is our biggest combo inflatable that is perfect for a BIG party or event. 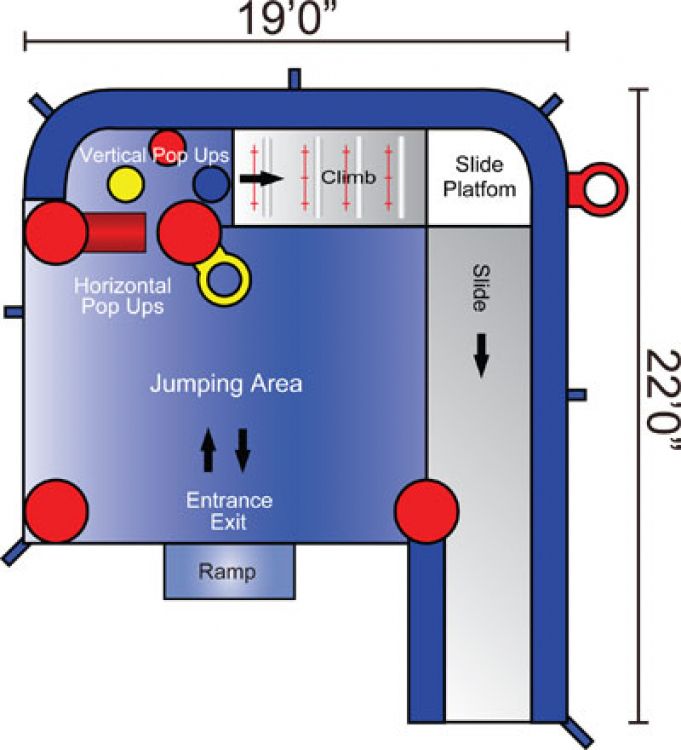 It includes 2 basketball goals, one inside and one outside as well as a bounce area, climbing activity to the slide, the slide itself and obstacles leading to the slide. The exterior slide also makes it easy to move kids through the inflatable when you have a crowd.